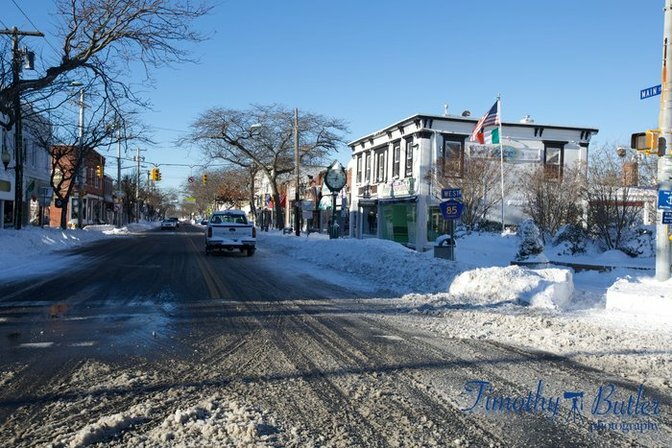 A snowy street in Sayville Photo by Timothy Butler. The snow didn't start to fall until after dawn, but there was enough in the forecast to convince several schools to close before it had even begun. As the wet, slushy precipitation continued to drop throughout the morning, several more districts decided the safest bet would be to dismiss class a little early. Others opted to remain open for the full day, but cancelled after school activities. As schools reported to us on Friday, March 10th, 2017. Not an official state record.